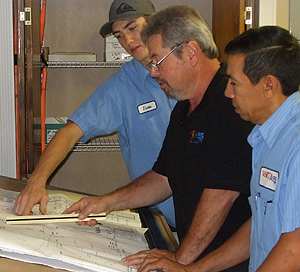 Our HVAC Technicians provide the experience you can trust. For nearly 50 years, we have been providing affordable AC Installation for new home construction and replacement systems from brands you trust. We serve both residential and commercial clients in Daytona Beach, Ormond Beach, Port Orange, DeLand, Deltona, Palm Coast and so much more. Because every home is different and customer priorities vary, you need a company with a qualified team of industry professionals that can help you choose the right HVAC system with the features you need for your home, townhome, condo, or business. Whether you need an AC Installation for a new home or want a more energy-efficient replacement system for your current residence, you can count on the Von-Aire family to help you make the right choice for your home and family. Did you know? If your AC is more than 10 years old, you can reduce your utility bills with an energy-efficient replacement system. Ask about our free in-home consultation. Our complete line of Air Conditioning and Heating Systems will satisfy the capacity, comfort, efficiency and budget of any home. In addition, we offer a variety of convenient accessories to meet the unique needs of your lifestyle and comfort. From the most complex AC Installations to simple replacements, Von-Aire has the people and products to provide an Air Conditioning and Heating System to fit any lifestyle and budget. We understand that when you need an AC Repair Service, you want a trained professional to respond quickly and fix it right the first time at a price you can afford. Our factory-trained AC Repair Service Technicians are dedicated to providing quick and efficient repairs for all heating and air conditioning makes and models. We carry most parts in our service vehicles. Why call Von-Aire for AC Repair Service? We offer flat-rate pricing for all diagnostic inspections that includes travel and the time necessary to determine the cause of the system failure. Once the technician determines the cause, our Upfront Pricing Guarantee means you will know the complete cost of the repair without any surprises. Our commitment to You: We stand behind our repair quote regardless of how long it takes to complete the repair. Did you know? Periodic maintenance can help prolong the life of your AC and prevent premature break-downs. Ask about our money-saving Maintenance Plans. When you need AC Repair Service, call the Air Conditioning and Heating specialists who have been serving Volusia County home and business owners for nearly half a century. Our friendly and highly skilled technicians have the industry know-how and training to diagnose, adjust and repair any AC System to keep you and your family comfortable all year long. Get free semi-annual air conditioning check-ups with our money-saving AC Maintenance Plans. With our spring and fall AC Maintenance tune-ups, we will ensure your Air Conditioning and Heating System is running smoothly all year long. Also, a periodic maintenance checkup lets technicians identify any small problems before a system failure occurs, saving you money on repairs. Don't overlook your Air Conditioning and Heating System investment. Just like an automobile, your AC needs regular maintenance for peak operating performance. So, before the cooling or heating seasons begin, it is a good idea to have your AC System checked out by our factory-trained technicians. 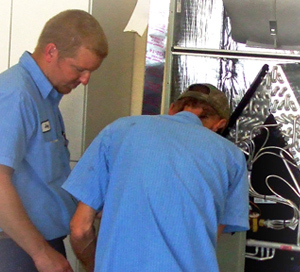 All AC manufacturers recommend regular scheduled maintenance for peak operating performance. Let our courteous factory-trained service technicians give your system a complete AC Maintenance tune up. A completed checklist is provided detailing the work performed. Our AC Maintenance Program takes the worry out of scheduling maintenance visits and provides discounts on our services. 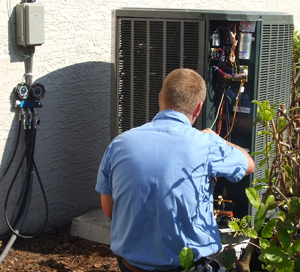 Von-Aire proudly serves residential and commercial Air Conditioning customers in Daytona Beach, Ormond Beach, Port Orange, Holly Hill, DeLand, Deltona, Palm Coast and other communities throughout Volusia, Flagler, and Seminole Counties.